Our factory could produce Profile Hole Perforated metal sheets. Perforated Metal Mesh refers to different shapes of holes on different materials to meet different needs. Most of the raw materials used for Perforated Steel Sheet are stainless steel sheet, low carbon steel sheet, galvanized sheet, PVC sheet, cold rolled coil, hot rolled sheet, aluminum sheet copper sheet and so on. Galvanized Perforated Metal Mesh or Stainless Steel Perforated Sheet could be patterned piercing mesh, forming piercing mesh, heavy-duty piercing mesh, ultra-thin piercing mesh, micro-piercing mesh, wire-cut piercing mesh, laser piercing mesh, etc. Punched openings : round, square, triangle, diamond, hexagonal, cross, etc. The round hole perforation is the most popular type of perforated pattern used and is manufactured in coils or sheets..
Punching or shearing, bending or multiple bending, drawing, deep drawing, and punching or precision blanking. 1. The multi-layer sand control filter sleeve has the high efficiency sand control performance, can better block the formation sand grains, meets the downhole sand control needs. 2. Uniform pore filtration, high permeability and high plugging resistance. 3. Large filtration area, low flow resistance and high oil yield. 4. Excellent corrosion resistance of stainless steel, acid, alkali, salt corrosion resistance, can adapt to the special requirements of oil wells, cracks will not gradually become larger due to corrosion. 5. Multilayer structure is welded together to make the filter hole stable and highly resistant to deformation. 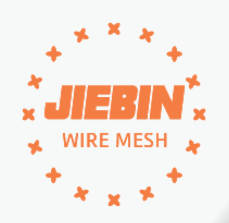 Here we also supply high quality Steel Fence , Bow top fence, Crimped Wire Mesh , Rebar Tie Wire , Hexagonal Wire Mesh, Palisade Fence , Farm Fence , Temporary Fence , Gabion Mesh , Barbecue Grill Mesh, Perforated Metal Mesh, Stainless Steel Wire Mesh, Welded Wire Mesh , Kraal Network , Security Fence and kinds of Wire Mesh and metal products with competitive price. Looking for ideal Profile Hole Perforated Metal Manufacturer & supplier ? We have a wide selection at great prices to help you get creative. All the Profile Hole Perforated Metal Mesh are quality guaranteed. We are China Origin Factory of Profile Hole Perforated Sheets. If you have any question, please feel free to contact us.